Xanax is a medication used to treat anxiety and panic attacks 1,2. Also available generically as alprazolam, Xanax is the most frequently prescribed benzodiazepine (benzo) medication, a class of drugs known to slow down central nervous system activity. 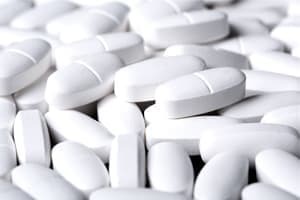 The Drug Enforcement Administration (DEA) reports that there were 49 million Xanax prescriptions written in 2011—20 million more than Ativan 1. Withdrawal symptoms can significantly worsen your mental and physical well-being. Though generally safe and effective when used as prescribed, benzodiazepines have some potential for abuse and, as such, are listed as a Schedule IV controlled substance; as many as 20 million people in the U.S. admitting to abusing a benzodiazepine, such as Xanax 1. Xanax abuse can cause feelings of relaxation and sedation, but it can also result in many complications like memory problems, depression, aggression, dependence, and addiction 1. Once someone is addicted to or dependent on Xanax, abruptly stopping or reducing use can result in unpleasant Xanax withdrawal symptoms 1. These withdrawal symptoms can significantly worsen the mental and physical well-being of the individual. Going to multiple doctors to get several prescriptions. Inappropriate aggressive or sexual behavior. In rare cases, a phenomenon known as paradoxical disinhibition can occur. Paradoxical disinhibition is characterized by contradictory behaviors, such as hostility, aggression, irritability, excitement, and impulsivity, which can occasionally result in violent or antisocial behaviors 11. Tolerance, which means you require increasing doses of Xanax to achieve intoxication. Many people may use other sedatives or alcohol to feel the desired effects once tolerance has developed. Dependence, which means that withdrawal symptoms are likely to emerge with the cessation of or reduction in use. Addiction, which means that it is difficult to control or quit use regardless of harmful ramifications resulting from Xanax use. Increased risk of experiencing a complicated withdrawal, characterized by potential grand mal seizures or delirium. Increased risk of overdose, particularly if combined with alcohol, opioids, or other benzodiazepines. These long-term consequences of Xanax abuse can be prevented by seeking Xanax detox and addiction treatment sooner rather than later. Don’t hesitate to take the first step towards a healthier and happier life. What Happens When You Suddenly Quit? Rapid pulse and increased blood pressure. Psychomotor agitation, or repetitive, purposeless movements. Experiencing a seizure is the most dangerous risk of the acute Xanax withdrawal syndrome. The risk of seizing is greatest during the first 24-72 hours of Xanax detox, making it all the more important for people to seek professional drug detox and medical supervision early in the withdrawal process 10. The safest way to address Xanax withdrawal symptoms is to seek out and begin professional detox and addiction treatment. People that may experience Xanax withdrawal should consider drug detox. Detoxification is the process of removing unwanted substances from the body 6,7.The detox experience is often highly variable from person to person, which can pose challenges to reliably predicting the exact Xanax detox timeline. One factor that influences detox is the drug’s duration of action 7. Xanax is a short-acting benzodiazepine, meaning that the withdrawal symptoms will start sooner than long-acting drugs. Xanax withdrawal symptoms may emerge within 6-8 hours, peak in intensity by the second day, and gradually subside by the fourth or fifth day 5. Total duration of Xanax abuse. Mental and physical health of the individual. Presence of other substance abuse. Self-medicating with other drugs to treat withdrawal symptoms. Suicide in association with depression, anxiety, or psychosis. Seizures: About 30% of people that are withdrawing from Xanax without medical attention will experience a life-threatening seizure. Delirium: This term describes a level of confusion and disorientation stemming from the hallucinations common during withdrawal. Poor decisions and erratic behavior may occur as a result. Symptom rebound: Symptoms of high anxiety that are contrary to the effects of Xanax intoxication. Symptom reemergence: Returning symptoms of anxiety in people that had anxiety issues before Xanax use began. Obsessive thoughts and compulsive behaviors. Medications to mitigate withdrawal symptoms and reduce cravings. Inpatient: If a person has few supports, a severe addiction, and is at risk for dangerous withdrawal symptoms, inpatient treatment is the appropriate detox option. Inpatient treatment offers 24-hour care as the individual will live in the detox center during treatment to maintain a safe, consistent environment with available medical intervention. A substance abuse treatment facility. Detox is a difficult process that will usually focus on slowly reducing the dose of Xanax over time to lessen the withdrawal symptoms 6,7. Detox can begin the road to recovery, but it is only one aspect on the continuum of care. For the best results, people in recovery should transition into a Xanax addiction treatment program to learn relapse prevention skills and promote long-term sobriety. 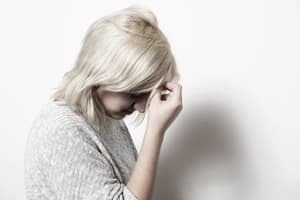 Typically, Xanax withdrawal is medically managed by slowly tapering down a person’s dose over time in order to ease withdrawal symptoms and ensure safety. Depending on the severity of the dependence or addiction, tapering may take place over several weeks or months. In some cases, a physician may choose to switch a patient from Xanax to another benzodiazepine with a longer half-life and taper the patient off that drug over time. In rare instances, anticonvulsants or antidepressants may also be used to mitigate withdrawal symptoms 6. Drug Enforcement Administration. (2013). Benzodiazepines. U.S. National Library of Medicine: MedlinePlus. (2016). Alprazolam. National Institute on Drug Abuse for Teens. (2016). Prescription Depressants. Food and Drug Administration (2006). Xanax CIV. Can You Detox From Xanax While Pregnant?